Personal finances are a significant cause of stress, which employees bring to work in the form of lost productivity. It often diminishes their ability to save and invest for retirement. Sometimes it even impacts their health. 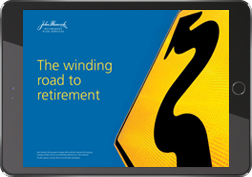 John Hancock can help people make better decisions about their money and lower their financial stress with personalized tools and resources to help them to and through retirement. We have integrated a data-driven personalized path to financial wellness right into our retirement plan participant experience. To learn how we can put financial wellness to work for your retirement practice, contact your John Hancock representative. To learn how we can put financial wellness to work for your retirement plan and participants, contact your financial representative. A simple, online questionnaire that allows participants to easily assess their overall financial situation, receive a personalized action plan, and guides them to curated financial wellness resources. 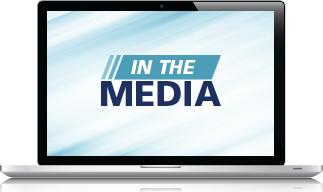 An interactive education platform utilizing short animations, video, and game-inspired learning modules that are curated under easy-to-understand categories introduced in the Financial Wellness Assessment. An aggregated view of a participant’s assets and liabilities, offering a full view of their financial picture and full control over how to shape it. For more information on our financial wellness solutions, click on the links below. In this episode, Patrick Murphy, CEO at John Hancock Retirement Plan Services, shares his thoughts about trends in the retirement plans industry, the latest results from JHRPS’ Financial Stress Survey and his thoughts about financial wellness. In this episode, Patrick Murphy, CEO at John Hancock Retirement Plan Services, shares his thoughts about about the role of advisors in the retirement plans, new tools that are helping participants prepare for retirement, and trends that are changing the retirement plan industry.